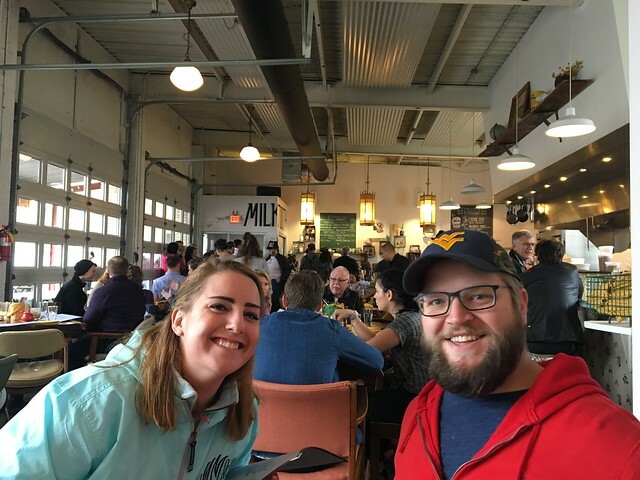 While I was visiting the southern part of Indiana, I made the trip with my friends Maggie and BJ up to the state's capital. I'd never seen Indianapolis before, so YOLO, right? 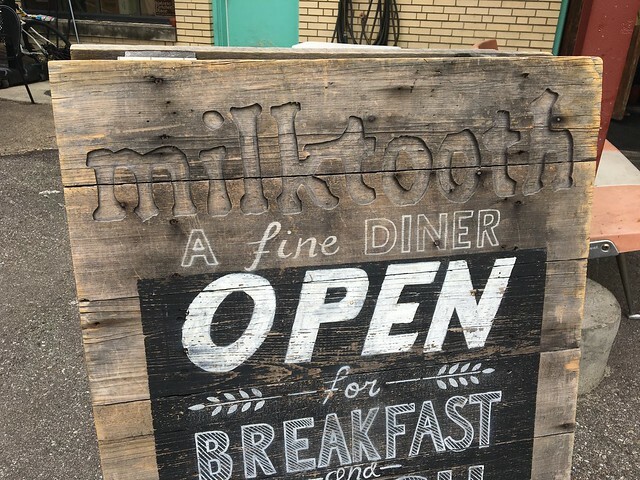 If you look up good restaurants in Indianapolis, at the top of almost every list is Milktooth. Conde Nast even called it one of the best restaurants in the world! Bon Appetit also had great things to say. 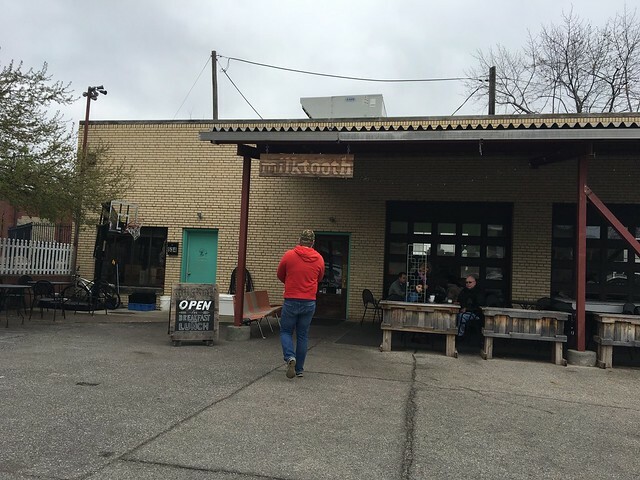 Milktooth is the first restaurant of chef/owner Jonathan Brooks and his wife Ashley. 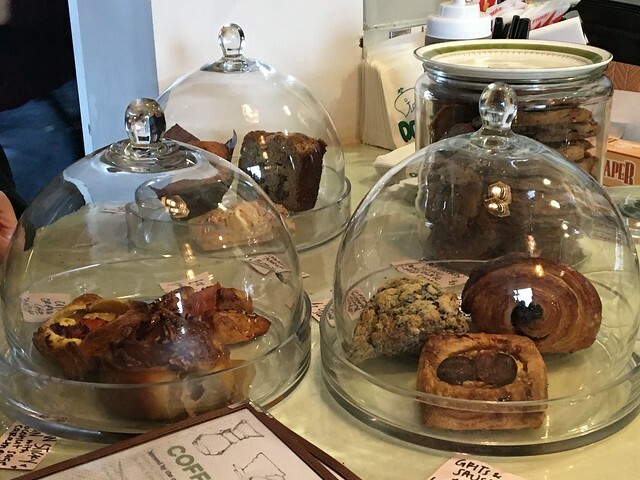 It has grown from a passionate commitment to great local ingredients and an inspiration to connect childhood food memories with unconventionally creative morning fare. Daybreak meals became nourishing family time to Jonathan and Ashley after their son was born and Jonathan took over as Chef de Cuisine at Recess. 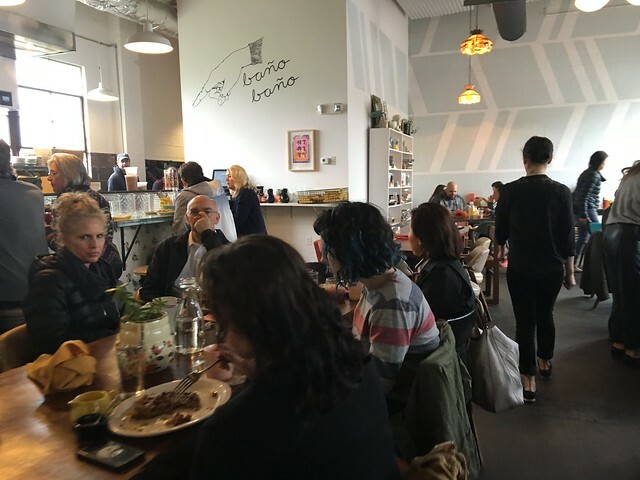 With an ever expanding love and pride for Indianapolis they invite you to come enjoy a great cup of coffee, a cocktail, a pancake, or perhaps some sweet tea fried chicken (OUR STORY). So, when we arrived, there was a line out the door and a very cramped entrance way - no surprise. They anticipate this and have a coffee bar open for those waiting. There's no seating there, but you can at least get a drink or pastry to keep yourself occupied. 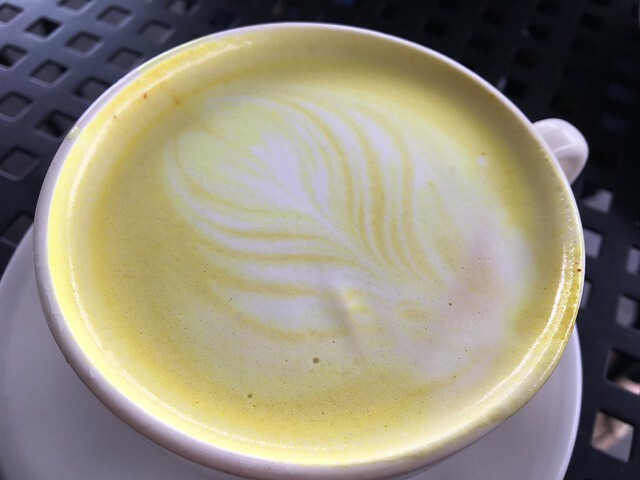 I ordered a "gold front" which came with black tea, turmeric, ginger, coconut, cardamom, honey, steamed milk. And, I also got a homemade poptart - strawberry and kumquat. How cool is that? It took a little while to get my drink, but once I did, I went outside to the tables and precariously had a sip. It was very different, but light and smooth. 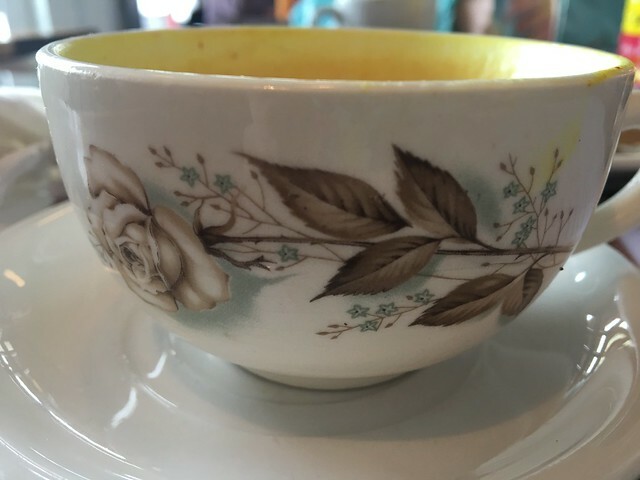 Most people would agree a great breakfast deserves an excellent cup of coffee. 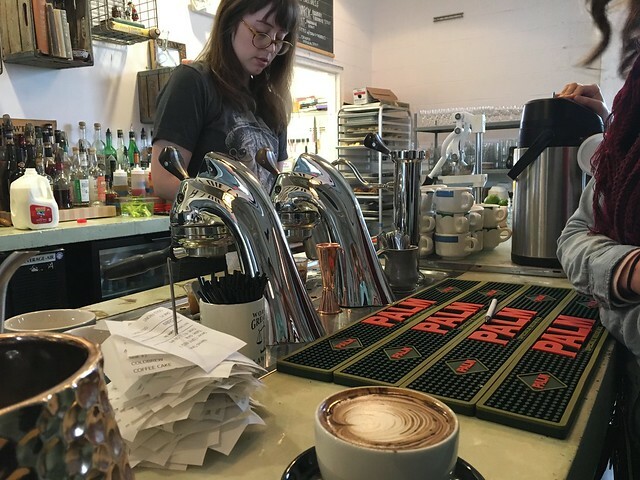 Milktooth boasts not only a staff of talented and dedicated baristas, but also, Indianapolis’ first ModBar espresso machine. In partnership with La Marzocco, Fort Wayne based ModBar, has created an espresso machine that is truly the pinnacle of style and technology. By placing almost all of the machinery underneath the counter, ModBar has created a no-barrier, espresso experience unlike any other. 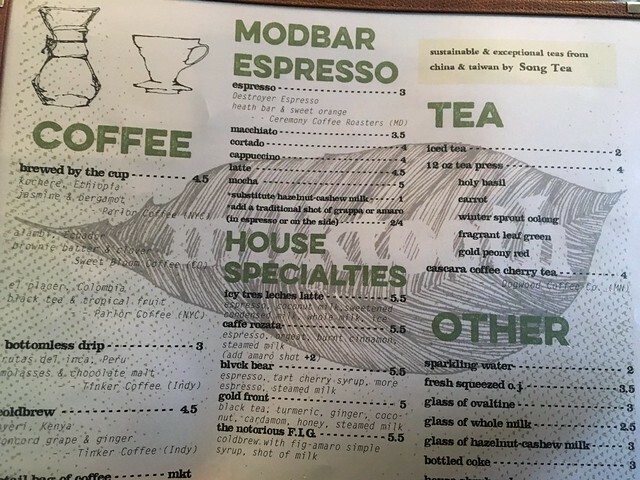 While most all espresso machines create a ‘curtain’ in which the barista is hidden behind, the ModBar opens up the ‘stage’ and invites patrons to witness and be a part of the hand crafting of every beverage. The ModBar has been engineered and outfitted with every luxury an espresso machine can be afforded. It is equipped with features such as a digital interface and adjustable pressure profiling. This allows our baristas to have full creative control, bringing out flavors in the coffee that would otherwise be lost. Milktooth is also Indianapolis’ premier multi-roaster coffee program. Just like a great bar would change the beers on tap, we are constantly searching for the best coffee beans from the best coffee roasters in the country. This commitment to the best roasted coffee, equipment and baristas is what makes every single cup special and unique. Whether its a Toddy cold brew, a crunch berry cappuccino, an authentic Vietnamese iced coffee, or one of our pour over options, your morning cup will be sure to please all the senses. 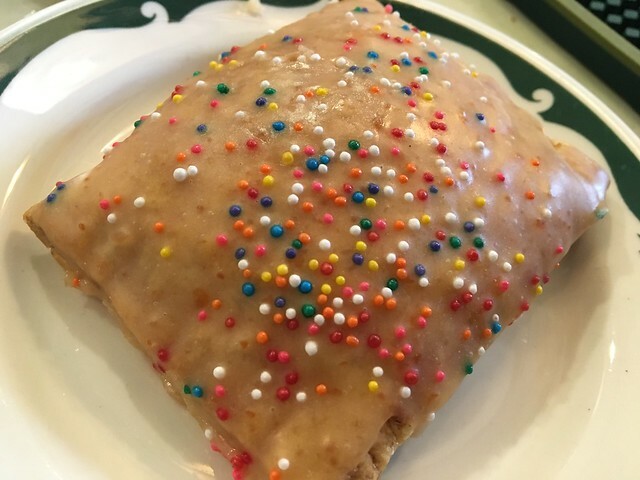 The poptart was cool - not overly sweet but more like a pastry and jam. I was into it. Then, our names were called, so I brought my goodies back inside before being seated at a table near the back. 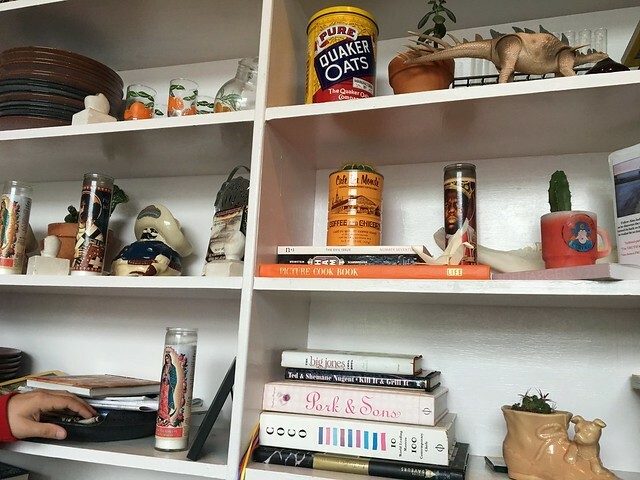 The interior is "chic and airy" - bright, lots of white and hip succulents and foodie books line the wall. 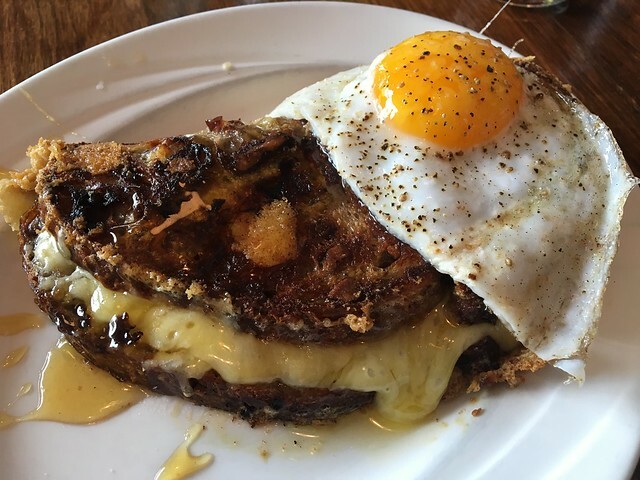 Cranberry walnut & TP Caerphilly cheddar grilled cheese with black truffle honey and a local sunny duck egg. The bread was thick, with a nice crunch to it, and the cheese was plentiful and just oozing out all over. It was all covered in this sweet, yet umami flavored honey that meshed that sweet and salty together beautifully. And, just to top it off, a sunnyside egg that just makes it more "breakfast-y." Easily one of the most creative, delicious grilled cheeses I've ever had.